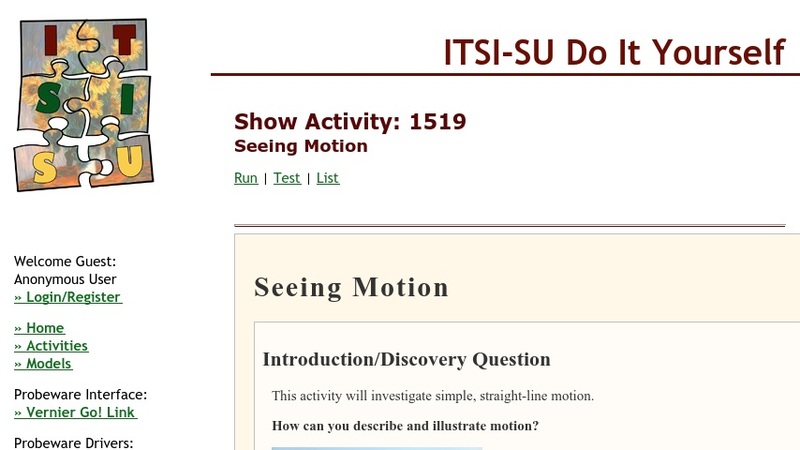 This activity explores simple, straight-line motion by blending a motion sensor lab with student-generated digital graphs of distance versus time. First, learners use the online graph sketching tool to predict the motion of a person walking forward and backward over a 4-meter track in 30 seconds. Next, they try to reproduce their prediction graphs using a motion sensor to collect data. Finally, they analyze differences in slope between their original predictions and the actual data from the motion sensor. This resource is part of the Concord Consortium, a nonprofit research and development organization dedicated to transforming education through technology.